Last weekend, I made duck confit for the first time. By the time I finished cooking it, I read the last step of the instructions–wait a week before you eat it. Doh! So our guinea pig friends, Ray and Sally, came over to test out the duck confit with us tonight. I pan seared the confit and put the whole pan in the oven to heat through, sauteed some kale with garlic and grapeseed oil, and made a spicy candied kumquat sauce to go on top of the confit. The much anticipated duck confit was, well, decent. I wouldn’t say it was the best confit I’ve ever had. In the process of pan searing it, the skin stuck to the pan and tore off, taking a piece of my heart with it. That was supposed to be the best part! The flavor was pretty good and salty, the way I like it. I think next time I’ll cook the confit in a lower temperature for a longer period of time and see if the meat can get more tender. 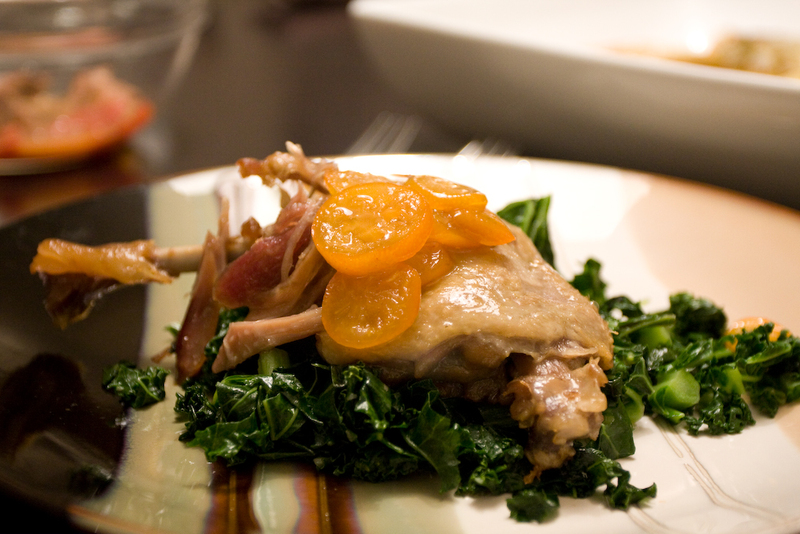 The spicy kumquat sauce was quite good, and I thought the kale was a good pairing with the confit. 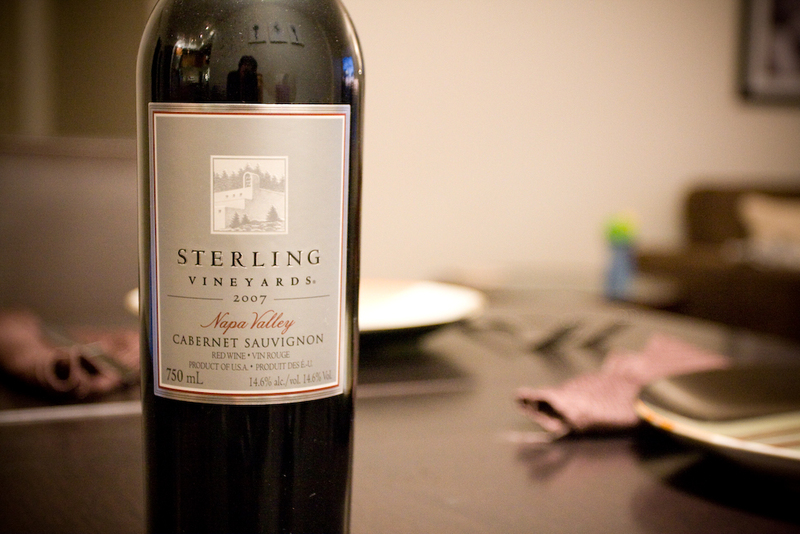 We had the Sterling cabernet sauvignon and an endive grapefruit salad to go with dinner, and a blueberry lemon crumble for dessert. Oh, and Ray made tuna tartar with endives. I felt very richly blessed to have people to test my food on and enjoy a meal with. Next week, I’m going to attempt making soufflé! That’s right, the cooking challenge continues! Anyone want to come and be my guinea pig next week? This entry was posted in Cooking and tagged blueberry, candied fruit, cooking challenge, duck confit, endives, grapefruit salad, grapeseed oil, kale, kumquat, Sterling by angelasaito. Bookmark the permalink. I think you’ll find Souffle is easy! The whole ‘must tip toe around the cooking souffle or it will fall’ is mostly old wives tales. I’ve made cheese souffles and chocolate souffles and they both came out great. 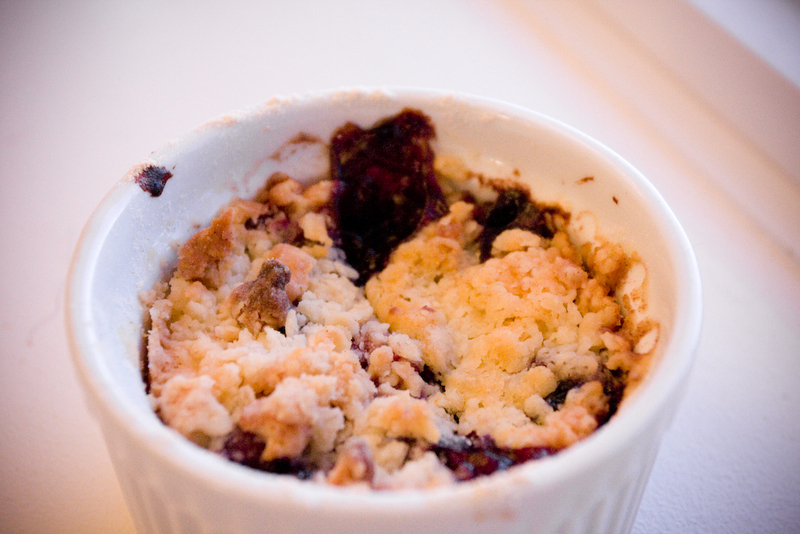 Clean the edges of the ramekin before putting it in the oven. Hey Ed, thanks for the encouragement. I have always been lead to believe souffles are hard to make because they always fall. I’ll keep you posted on how mine turns out.